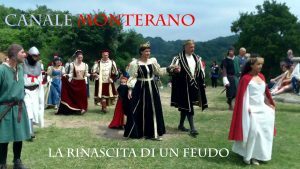 The “Rinascita del Feudo” (Fuedo Reinessance) is an important event which takes place every year, in Canale Monterano, an ancient village, a few kilometers from Lake Bracciano, North of Rome. It is the most recent among the various traditions, celebrated and kept alive thanks to the several ones organized by the local associations. 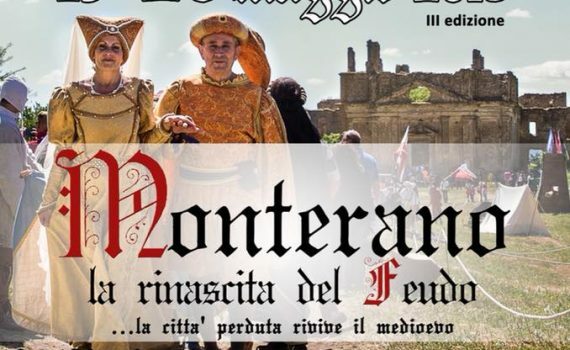 The historical show will take place on Saturday 19 and Sunday 20 May 2018, from 10.30 AM to 8 PM, in the Regional Natural Reserve, near the ancient fief of the ghost town of Monterano. If you are near Rome this weekend, then I suggest you plan a visit to this area. It is a real historical performance, visitors will feel like living in the Middle Ages. They will take part to sports activities such as archery, attend the historic fencing tournament, taste dishes typical of that era, as well as enjoy interesting guided tours. There are areas for refreshment and rest, as well as areas for children who can have fun using the games that were used at that time, or take part to the laboratories dedicated to them. During the event you can also attend the “race of the bigonzo”, wooden container (filled to weigh 45 kg), whose origin dates back to the ancient festivals related to the harvest. Have a nice weekend and have fun!